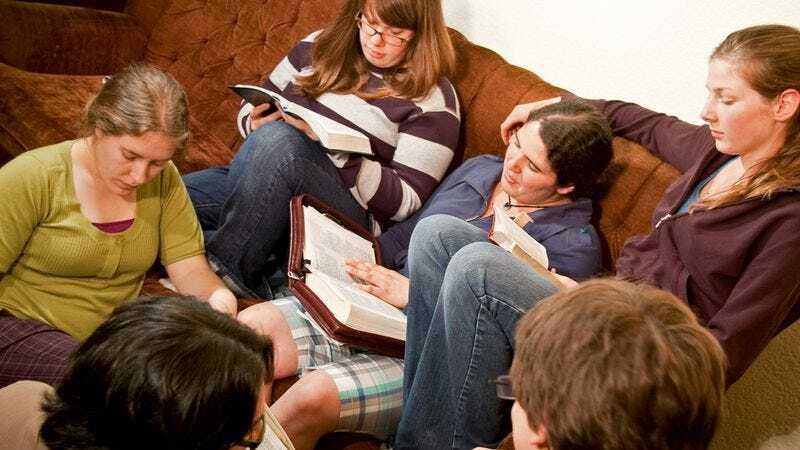 ALBANY, GA—A local Bible study group led by 18-year-old Elna Parker has begun meeting more frequently and taking regular practice exams in preparation for the upcoming high-pressure Bible Aptitude Test. "The fact is, if you want to get into a good church these days, you have to do really well on your BATs," Parker told reporters Wednesday as she flipped through a heavily highlighted King James Bible. "My cousin didn't take them seriously, totally blew his Second Maccabees, and wound up in a Unitarian congregation." Parker went on to say that the math section was a breeze, since it was all threes, sevens, and 12's, but memorizing the 3,087 character names is where most people trip up.